Confirming its incredible popularity among owners, Dacia has been revealed as the UK’s top car manufacturer for brand advocacy, in a list compiled by YouGov in its BrandIndex. Dacia came in with a total score of 67.4, beating 34 other car manufacturers, as well as coming in ninth out of the top 10 brands in all sectors overall. The 2018 Advocacy Rankings list the top 10 brands in all sectors for customer advocacy, which asks respondents to the YouGov survey whether they would recommend the brand to a friend or colleague, with only respondents who are current or former customers of a given brand interviewed. Commenting on the results, Louise O’Sullivan, Head of Dacia UK, said: “We’re all about community at Dacia and so it’s great to see that so many of our customers would recommend our cars to their friends and colleagues. By listening to customers and keeping the range simple, our quality, no-nonsense cars are proving to be fantastic value for money for UK car buyers. It’s not just customers who think this, we’re also being recognised by the wider industry, with the All-New Duster in particular picking up a number of recent awards. ”Since launching in the UK in 2013 Dacia has sold more than 140,000 cars with more than 5 million Dacias sold globally. Dacia continues to prove popular with its owners and is regularly voted amongst top car brands for both customer satisfaction, reliability and affordability. 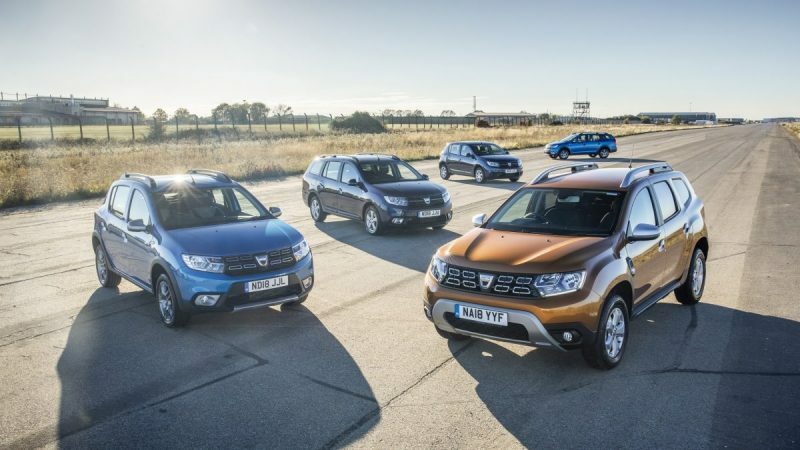 The award-winning Dacia range consists of the All-New Duster SUV, the Sandero supermini still the most affordable new car on sale in the UK, the Sandero Stepway, the UK’s most popular Dacia model, the Logan MCV and crossover-inspired Logan MCV Stepway.